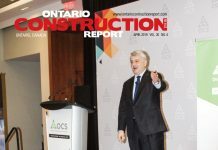 Tony Dean’s review of the Ontario College of Trades (OCOT) will result in changes that address the concerns of nonunion employers and the labourers’ union, especially in critical areas such as scopes of practice and the criteria and processes to be applied for apprenticeship ratio reviews and compulsory certification applications. and “will bring forward proposed legislative changes in the spring legislative session and will work closely with the College of Trades” to implement the recommendations, according to a government news release. 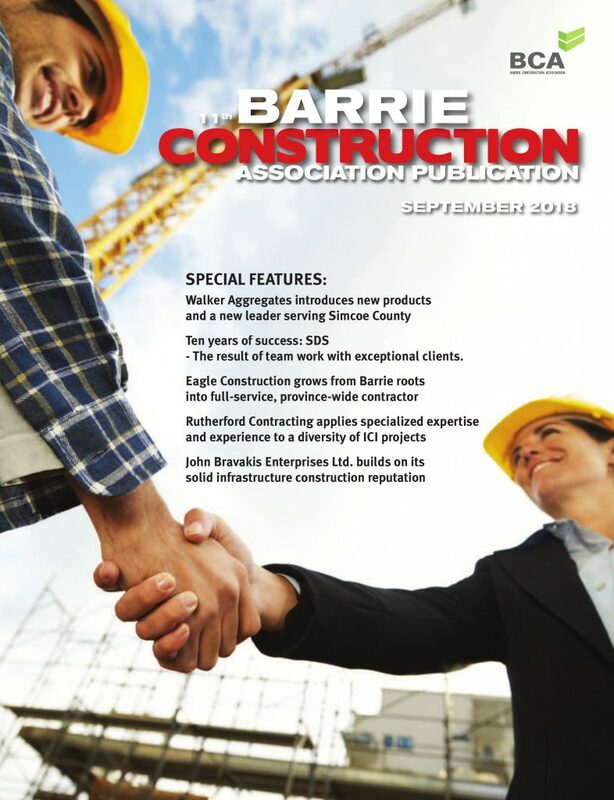 Not surprisingly, industry reaction diverges, with the Labourers’ International Union of North America Local (LiUNA) speaking out in favour of the decision, along with the Residential Construction Council of Ontario (RESCON). 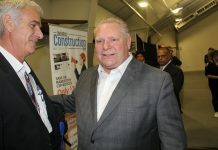 Meanwhile, both the International Brotherhood of Electrical Workers (IBEW) and the Carpenters’ District Council of Ontario (CDCO) have expressed dismay over the recommendations and the fact that the government is preparing to implement them without further consultation or negotiations. decision, announced when Training, Colleges and University Minister Reza Moridi released Dean’s recommendations. the way it’s going to be,” said John Grimshaw, executive secretary treasurer for the IBEW CCO. certification from review boards that could be stacked with representatives of self-interested organizations, and makes safety the key criteria for any decision to implement compulsory certification requirements. The original certification/review process aroused the ire of the labourers’ union and some employers, especially as the carpenters’ union pushed forward its proposal for that trade’s compulsory certification. The carpentry certification process started in February 2014 at a meeting of the OCOT’s eight member General Carpenter Construction Sector Trade board. The sector board included an equal number of union and employer representatives including Tom Cardinal, then the Sudbury based president of the CDCO. The union had indicated in 2013 that it was considering making a move towards compulsory certification, which would set qualifications and regulate who could become a carpenter in the province, restricting carpentry work to certified carpenters rather than labourers, handymen, or other trades. Someone familiar with the OCOT’s General Carpenter Sector Board said union representatives caught employers off guard with the original certification motion. “They timed it when they knew an employer would be the chair of the board, and thus would only be able to cast his vote in a tie situation,” the individual said. This meant, with three regular employer members, and four worker representatives, the request for certification could pass with a 4-3 vote in favour. 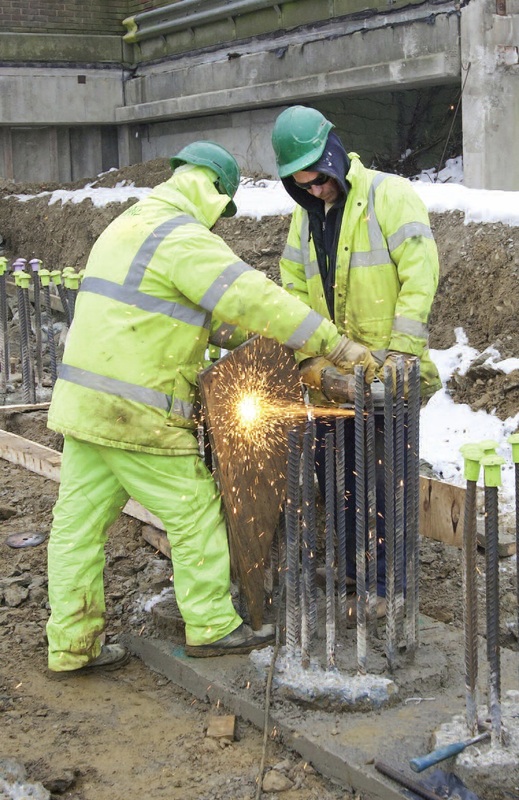 Meanwhile, the labourers’ union was running into job site problems when other trades, including the IBEW, sought OCOT enforcement action for labourers doing work that the labourers said were always within their scope of practice. The conflicts and controversies resulted in increasing political pressure on the Liberal government, especially when the labourers joined with non-union employers in an unusual alliance calling on the government to either reform or disband the OCOT. Premier Kathleen Wynne promised to review the OCOT in the last provincial election campaign, and in fulfilling the election promise, Dean started work in late 2014. “They could include individuals with expertise in areas such as public administration, facilitation and decision making, health and safety, labour market development and the economy and consumer protection,” he wrote. Notably, these review panels will be larger — with five or seven members instead of the original structure with three panelists — and they will have a clear mandate to focus on the public interest in their decisions. The CDCO says Dean’s recommended changes will result in delays and weaken the OCOT by requiring the new expert panel. “In its decision making, the review panel should weigh the criteria with deference to the key factors compared with the secondary factors and may weigh each of the secondary factors as it considers appropriate within this framework,” Dean wrote. Meanwhile, LiUNA expressed support for Dean’s proposals in response to scope of practice controversies. “Mr. 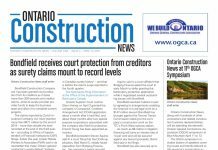 Dean has delivered a solid report and we are encouraged that both the Ontario government and the OCOT have accepted his recommendations,” said Joseph Mancinelli, LiUNA international vice president and regional manager of central and eastern Canada. Ontario College of Trades and Apprenticeship Act. uses of SoPs. “It will be important that the college consider how SoPs are used within its policy framework for compliance and enforcement and, specifically, how they contribute to defining what it means to ‘engage in the practice’ of each compulsory trade,” Dean wrote. – SoP recommendation 4. The OCOT should determine which features of a trade’s SoP may be in board regulations and which features may be in OCOT guidelines or other operational policy documents. any standards of practice, guidelines, policies and/or bylaws that may apply to members of the OCOT practicing the trade. – SoP recommendation 5. The OCOT should leverage its trade boards to facilitate the process for reviewing and updating SoPS for trades. “SoP reviews should include discussions with other trades with overlapping work, which should include discussions between trade boards and other stakeholders. Trades should come to consensus on proposed amendments to a trade’s SoP,” Dean wrote. – Journeyperson to apprentice ratio reviews recommendation 1. “The roster of adjudicators for review panels and selection of review panels should continue as outlined under the Ontario College of Trades and Apprenticeship Act.” The OCOT’s professional and administrative staff of the OCOT should support the ratio review panels, Dean wrote. – Journeyperson to apprentice ratio reviews recommendation 2. The OCOT should make sufficient efforts to communicate information about ratio reviews to ensure broad stakeholder participation from across Ontario. – other factors relevant to the public interest. The review panel may weigh the criteria, as it considers appropriate, Dean wrote. – Journeyperson to apprentice ratio reviews recommendation 7. The board should revisit the timeframe required for a review panel to render its decision following its appointment, Dean wrote. – Journeyperson to apprentice ratio reviews recommendation 8. The OCOT “should develop a policy and evaluation framework to clarify the broader public policy goals, including the purpose and implementation considerations for journeyperson to apprentice ratios for trades prescribed with ratios. “Develop a mechanism that would allow individuals or their representatives or employers to appeal to the OLRB on the basis that the OLRB previously addressed the college enforcement action or it is the subject of an existing agreement. The OLRB would first determine on a prima facie basis whether there are grounds for an appeal. Where the OLRB proceeds with an appeal, it would be directed to have regard to, among other things, the Ontario College of Trades and Apprenticeship Act and the college would have standing before the OLRB. Where an appeal is upheld, the matter would be nullified. Where the OLRB finds that an existing decision or agreement is relevant in an appeal but not determinative, it may designate the matter as a jurisdictional dispute, and it would be processed accordingly. In this case, the college would have standing before the OLRB. If the OLRB finds on behalf of the appellant, the matter would be nullified. The action of the college would be stayed until the OLRB releases a decision.” LiUNA said in its news release that it is pleased with these decisions regarding enforcement. In a news release, the OCOT said it accepts the recommendations and will work with the government on their implementation. “Today, the OCOT, along with the minister of Training, Colleges and Universities, received Mr. Dean’s recommendations to help address some technical processes that we all agree could benefit from improvement,” OCOT board of governors chair Pat Blackwood said in a statement. RESCON, representing residential contractors, said in following the Dean review recommendations, a key issue will be how they are implemented.